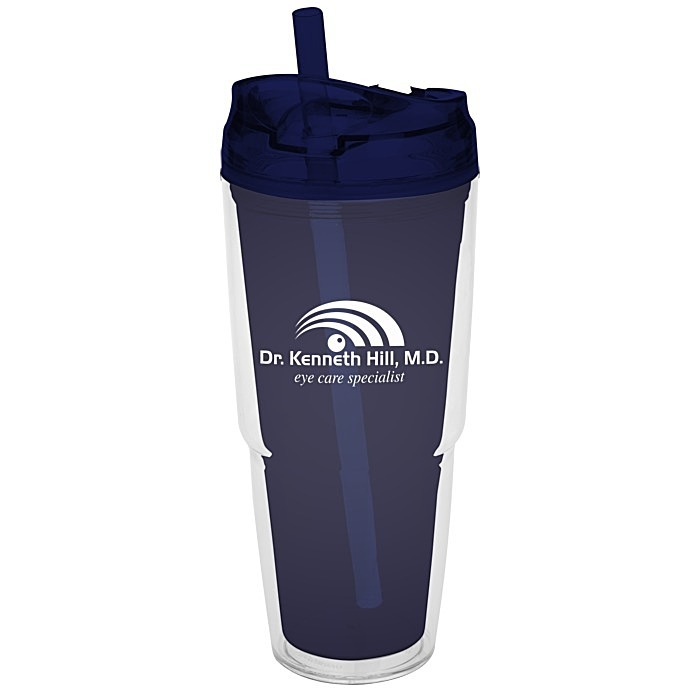 Carry your logo with this custom travel tumbler – 24HR! This custom travel tumbler is made of double wall acrylic. Outer wall is clear with your choice of colored inner wall. 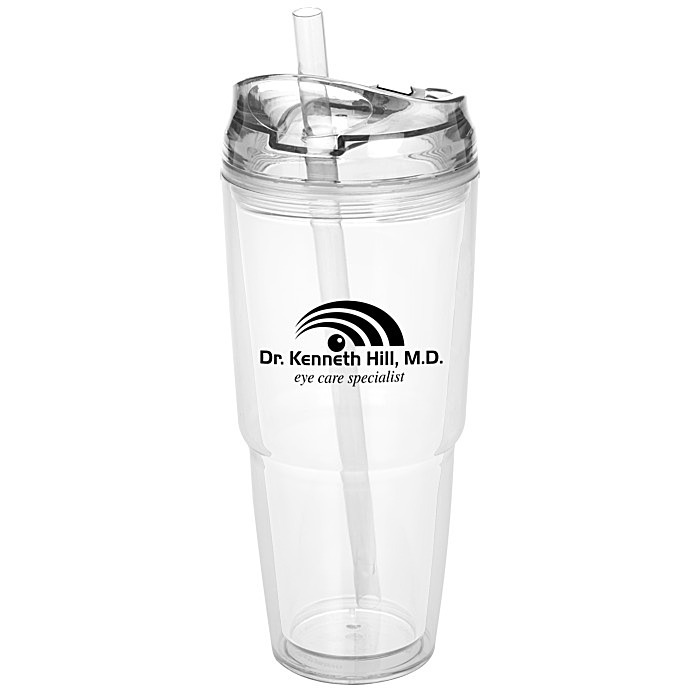 Features a screw-on lid with a flip-up cover and a removable straw. Lid and straw color coordinate with the inner wall. Dual wall construction is perfect for holding hot and cold beverages. 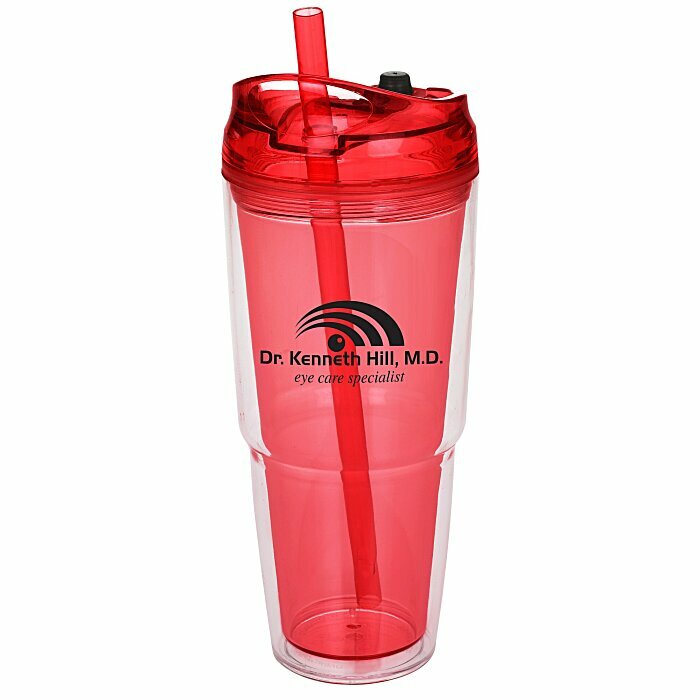 Tapered design provides a comfortable hold and fits in most cup holders. Made from BPA-free plastic #7, check locally for recycling information. 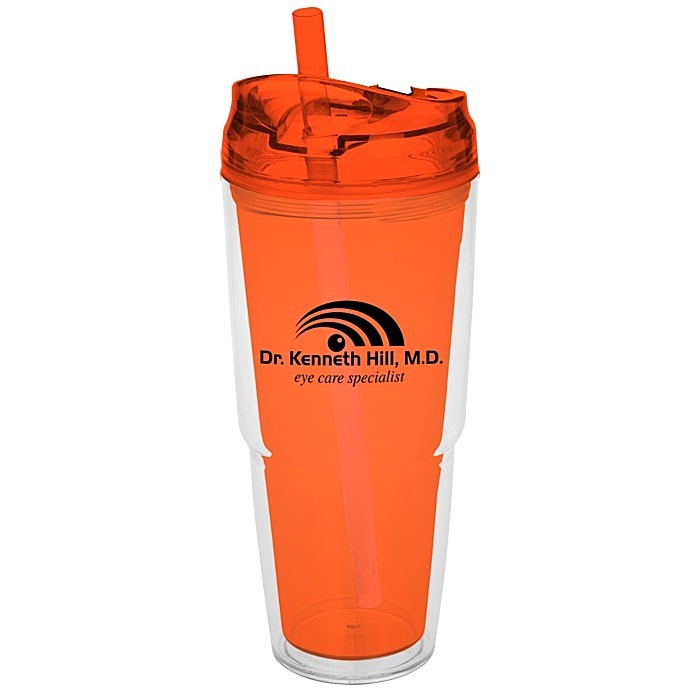 Your price includes a one-color on the bottle body.